Photographs of this stadium were once featured at the Museum of Modern Art in New York City as an example of modern engineering. 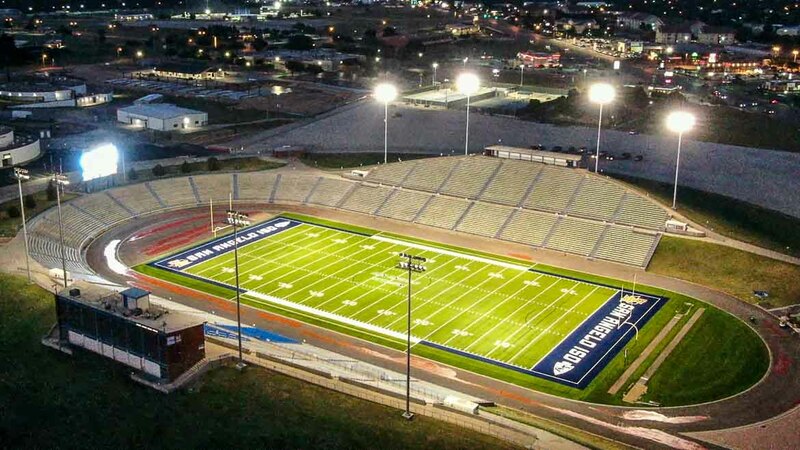 One of the first 'horseshoe-type' high school stadiums in Texas. Ample Visitor parking on east side of stadium.